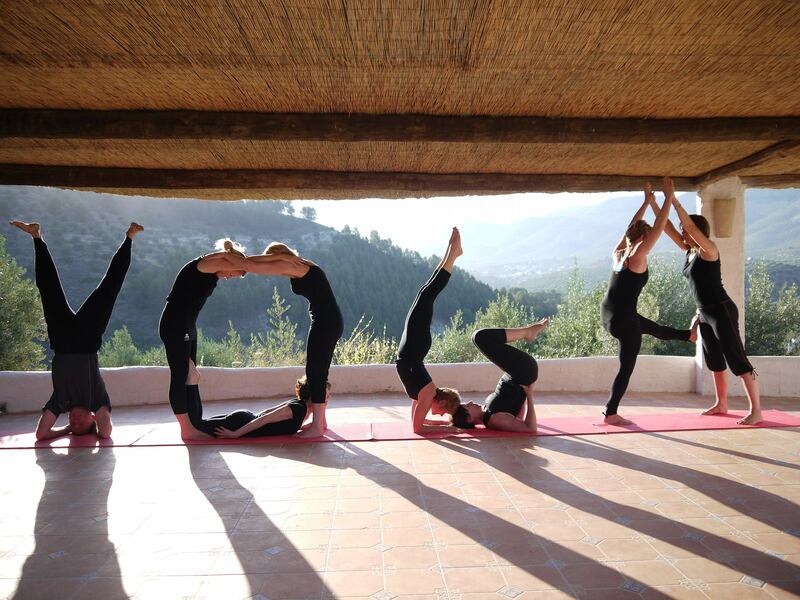 The explosion in yoga popularity has birthed a thriving yoga retreat industry. Not all of these “wellness vacations” are created equal. There is so much specialization that would-be yogi vacationers have much to consider before booking a trip. All-women, or co-ed? Which skill level? How many hours of practice per day? What part of the world? Choosing Vinyasa, Kundalini, or Ashtanga is only the beginning. The travel industry swallowed the once-humble yoga retreat and turned into something called the “wellness vacation.” Now retreats combine yoga practice with sundry other interests, some of them clearly yoga-related (self-exploratory writing, meditation), and others not linked to yoga or spiritual practice at all (windsurfing, sightseeing, wine-tasting, whale-watching). Housed at five-star accommodations, these wellness vacations boast gourmet meals and cocktail receptions and are heavier on the vacation than they are on the wellness. Any vacation might add to a person’s overall wellness, but why tack on the yoga label to it? Is it only to make a vacation sound more virtuous? In the case of some wellness vacations, it seems as if yoga serves as a justification for fun where there shouldn’t need to be one at all. Take the all-women’s (yoga and) wine-tasting retreat in Tuscany that offers women a chance to pretend they are Diane Lane in Under The Tuscan Sun. This six-day retreat allows “oenophile yoginis” to stay in a castle in the heart of Tuscany, attend one class per day of Vinyasa on the grounds or patios of the vineyard (weather permitting), and eat lunch at the vineyard restaurant (located in the cellar, like a scene out of The Cask of Amontillado). The rest of the time on the retreat is spent horseback riding (optional! ), taking cooking classes, attending gnocchi and cheese-making workshops (! ), picking and pressing olives, and rereading Eat Pray Love. A yoga retreat in the Hamptons offers participants twice-daily yoga classes coupled with intense exercise including paddle boarding, coastline runs, and hiking. Meals are made from organic and locally sourced food only; there is no alcohol, they only serve filtered water, and guests snack on plentiful gulps of fresh Eastern seaboard air. Off time is spent consulting with celebrity chefs and nutritionists and constructing a personal vision board into which Gwyneth Paltrow figures heavily. Given, I might have read a little too much into the descriptions of these wellness vacations. However, if you’re serious about going to a yoga-centered retreat, there are a few factors to consider. Wellness vacations have more free time and alternative activities listed, and the activities are such that encourage you to bring a friend along with you on the trip. A yoga-centered retreat encourages a solo spiritual journey. Look for retreats with multiple hours of practice per day, in a natural, spiritual setting, where attention and care are given to the amenities without unnecessary frills. Comfort and care are ideal for a yoga retreat, but excessive luxury are not requirements. Above all, make sure to ask plenty of questions before booking your trip.